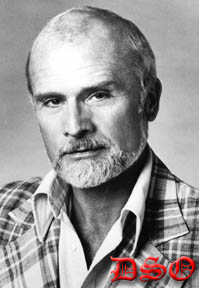 Because he starred on two of the most popular soap operas on TV, photographs of Louis Edmonds are featured on a variety of collectible items -- from bubblegum cards to magazine covers. He was even imortalized in a View-Master reel while he was on Dark Shadows. Below are images of some of the collectibles Louis is pictured on. 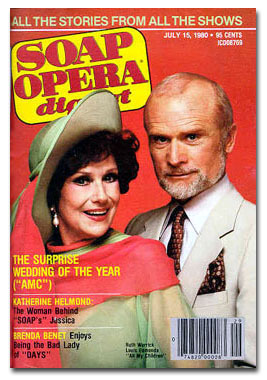 Louis and his on-screen wife, Ruth Warrick, appeared on the cover of the July 15, 1980, issue of Soap Opera Digest when their characters, Langley and Pheobe, got married on All My Children. 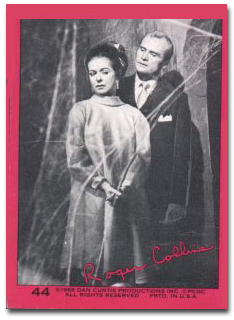 Louis is pictured as Roger Collins on several Dark Shadows trading cards, which were issued in 1968. Here he shares the spotlight with Joan Bennett, who played Roger's sister, Elizabeth. 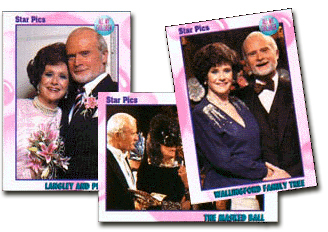 Twenty-five years later, Louis found himself on gum cards again, this time with Ruth Warrick, as Langley and Pheobe Wallingford in photos from All My Children.. 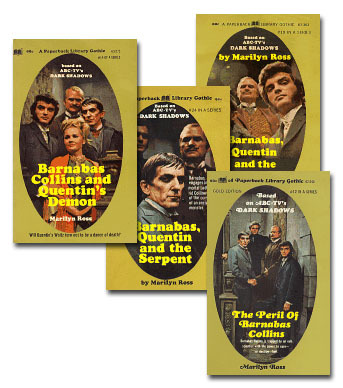 The covers of the popular series of Dark Shadows paperbacks featured publicity stills from the show. Louis is in the photos on the volumes pictured here. All of the images appear to be from the same photo shoot, with the cast members in costume as the characters they played during the 1897 story line. (Louis played Edward Collins during this story.) Others pictured are David Selby (Quentin), Nancy Barrett (Charity), Jonathan Frid (Barnabas), and Roger Davis (Charles Tate). The Dark Shadows Collectibles Book. Read more about the DS Collectibles. 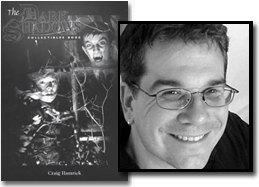 Dark Shadows is copyrighted by Dan Curtis Productions. All Rights Reserved. 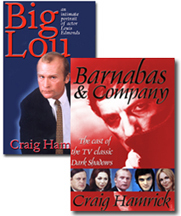 Big Lou and Barnabas & Co.